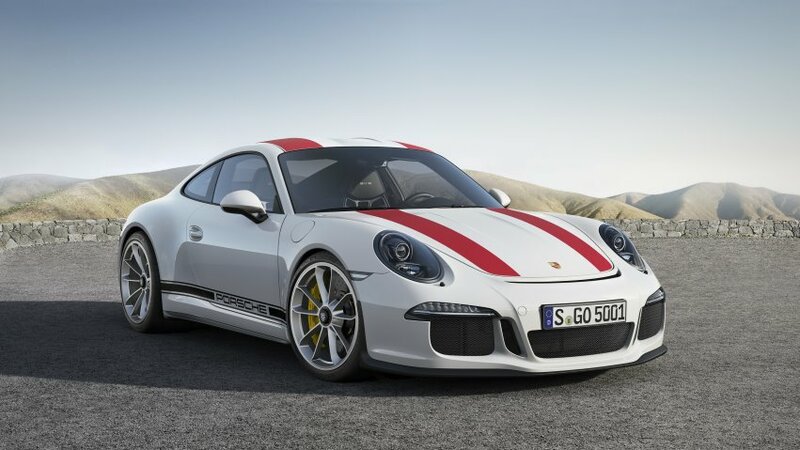 Among the débutantes at the 2016 Salon de Genève is the Porsche 911R, a lightweight version of the standard 911, limited to 991 units worldwide. 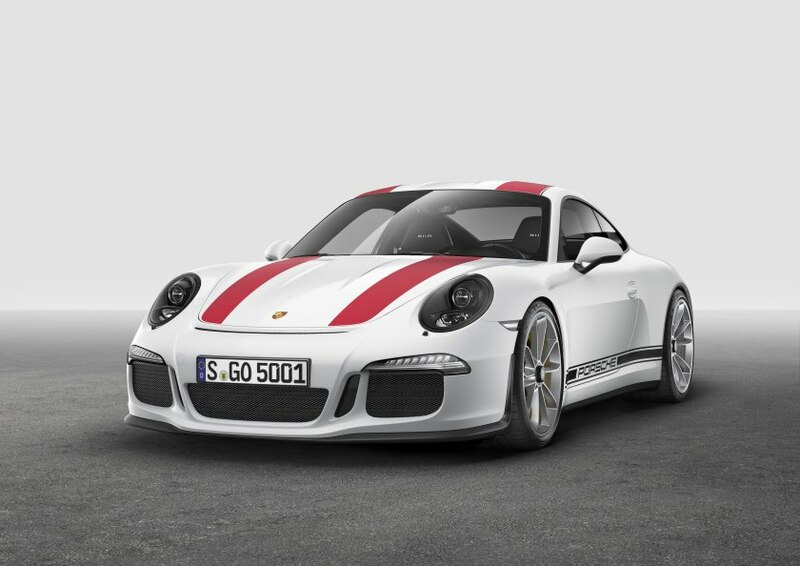 The 911R, named for the 1967 homologation special—which was entered in the Targa Florio and other competitions—weighs 1,370 kg, yet its four-litre, flat-six produces 500 PS. 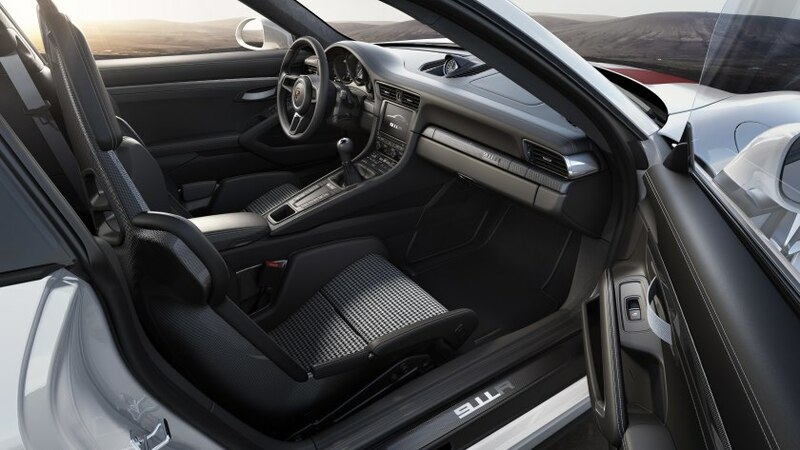 Porsche aimed to produce the purest, most engaging member of the 911 family, which is why the R is offered only with a six-speed manual gearbox. The engine is also naturally aspirated: there’s no room for turbocharging here. 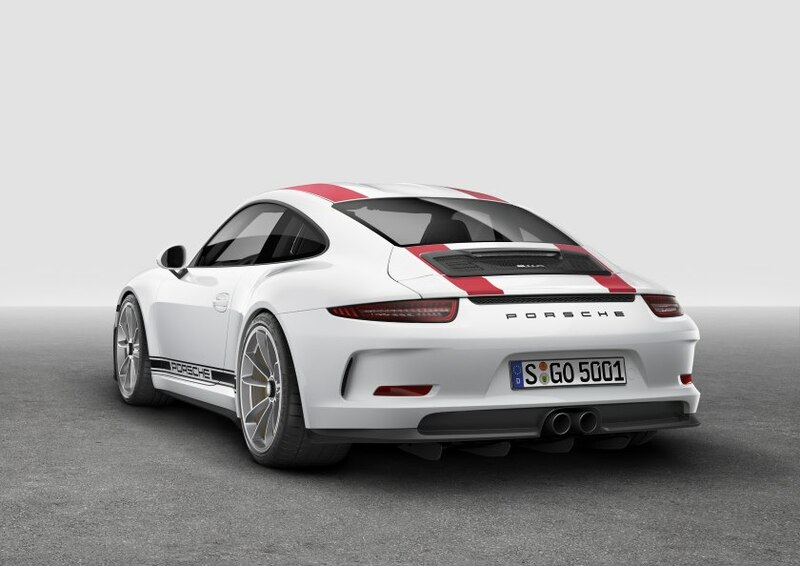 Optional stripes running over the centre of the car and Porsche logos on the side hark back to the 1967 original. It shares some components from the already potent 911 GT3 RS, including a carbonfibre bonnet, magnesium roof, and a titanium exhaust system, yet weighs less than the latter by 50 kg thanks to items such as a plastic rear screen and rear windows, the omission of the rear bench, and less interior insulation. Depending on the market, air conditioning and the audio system are optional. Despite the weight saving, the R reaches 100 km/h in 3·7 s, 0·4 s behind the RS, but it can hit a maximum of 323 km/h. The US launch price is US$184,900, while the UK launch price is £136,901. It reaches US dealers in the late summer.